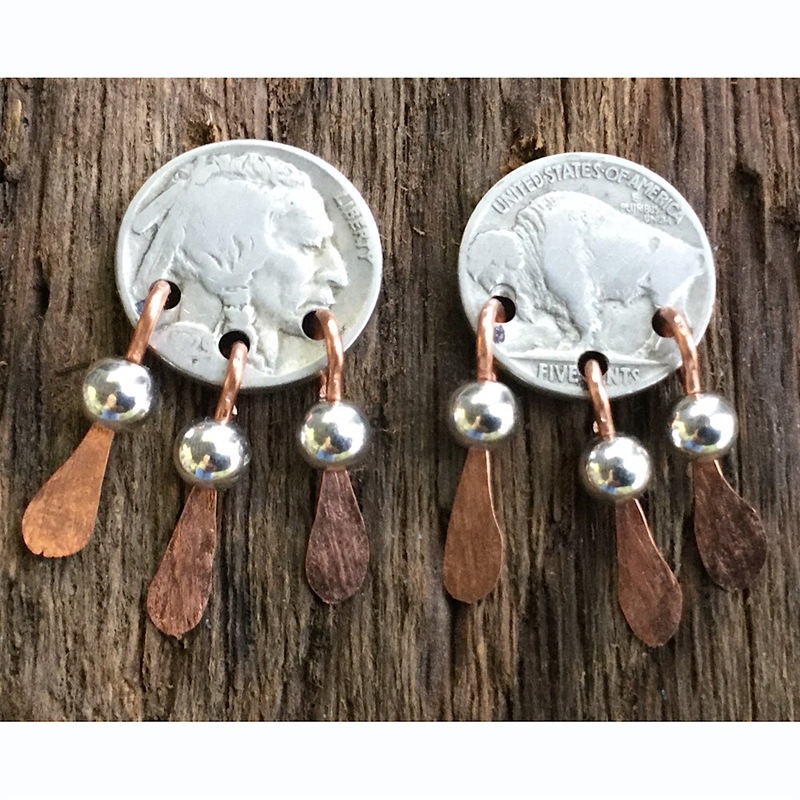 Buffalo Nickel Earrings with Feathers. Indian Earrings with Feathers. Post Nickel Earrings. 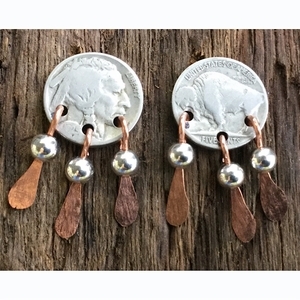 Handmade Buffalo Nickel Earrings. Buffalo Nickel Post with Hand-hammered copper feathers. 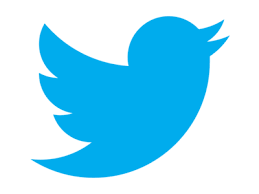 Can be ordered heads and tails (see Options). These coin jewelry earrings can be made from your coins for $28. These handcrafted coin jewelry earrings are made in the USA.